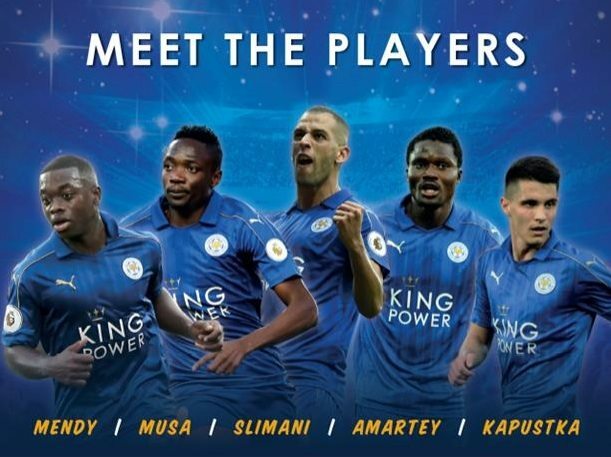 Don’t miss out on the opportunity to meet your Leicester City heroes with a special signing this half term on Thursday 20 October at the King Power Stadium Fanstore. New record signing Islam Slimani will lead the lineup of players attending and he’ll be joined by Ahmed Musa, Papy Mendy, Bartosz Kaputska and Daniel Amartey*. The players will be in store from 1.30pm to 2.30pm and it’ll be first come first served so you’re advised to get down there early. Bring along a souvenir to get signed, or the fanstore will be open for you to purchase a short or other piece of merchandise to take home with you. Share your photos from the signing with us as @coolasleicester. *List of players correct at time of writing and subject to change.